U.S. President Donald Trump’s administration temporarily exempted Japan and seven other parties from its ban on Iranian oil imports as Washington reimposed sanctions against Tehran on Monday as part of its “maximum” economic pressure campaign against the Islamic republic. The administration granted a 180-day waiver period to the eight parties, which include China, India, South Korea, Italy, Greece, Taiwan and Turkey, Secretary of State Mike Pompeo told reporters. Earlier Monday, the administration reimposed sanctions on Iran’s energy, banking, shipbuilding and shipping sectors to compel Tehran to end its nuclear program and support for militant groups in the Middle East. Referring to the waivers, Pompeo said the administration will continue negotiations with the eight parties to end oil imports from what it calls the world’s largest state sponsor of terrorism. Separately, national security adviser John Bolton said: “These are not permanent waivers, no way. We’re going to do everything we can to squeeze Iran hard. Major Japanese oil distributors have suspended Iranian oil imports since their October contracts. 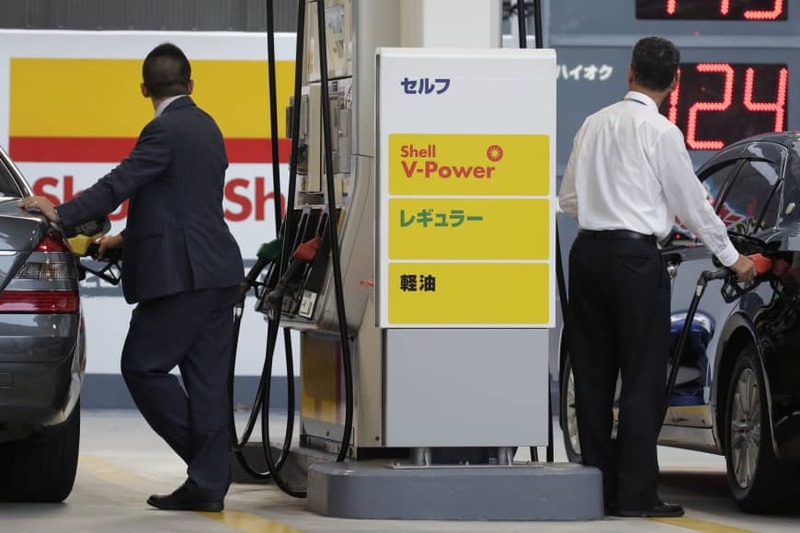 With Japan winning the temporary waivers, the distributors will consider resuming purchases, but the Japanese government and businesses remain concerned about possible oil price increases following the reimposition of the U.S. sanctions on Iran. Iranian oil accounted for about 5 percent of Japan’s crude oil imports before purchases were cut. Major producers of synthetic resin and fiber have increased prices for some products including polyethylene, used for food wrappers and plastic bags. Japan and Iran have traditionally had friendly relations and major Japanese trading firms had been looking for new opportunities in Iran’s chemical and energy fields. A senior official of Marubeni Corp. said it would be difficult to land a deal in Iran as long as U.S. President Donald Trump’s administration continues its aggressive posture toward Tehran. 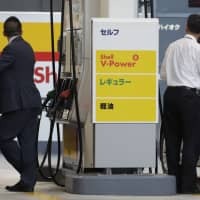 With resource-poor Japan heavily reliant on the Middle East for its energy needs, company officials said the murder of journalist Jamal Khashoggi in the Saudi Consulate in Istanbul in October complicated the situation further. “We have repeatedly called on the United States to ensure Japanese companies will not be negatively affected by its actions,” Chief Cabinet Secretary Yoshihide Suga said at a news conference Monday. After pulling the United States out of a nuclear deal struck between Iran and six major powers — Britain, China, France, Germany, Russia and the United States — the Trump administration began reimposing sanctions on Iran in August. Under the deal, Tehran agreed to curb its nuclear activities in exchange for lifting crippling economic sanctions. A senior State Department official said Washington has been careful in applying pressure against Tehran so as not to drive up oil prices. But the official said that because a stronger oil supply is anticipated for next year, “that will allow us to accelerate the path to zero” imports from Iran. Aside from restrictions on oil imports, the administration added more than 700 individuals, entities, vessels and aircraft linked to the energy and financial sectors and other segments of Iran’s economy to the U.S. list of sanctioned entities. Of those added, more than 300 are new designations and the remainder won sanctions relief under the 2015 Iranian nuclear deal, from which Trump withdrew the United States in May. “Today’s designation includes 50 Iranian banks and their foreign and domestic subsidiaries, in conjunction with Iran’s regime support for international terrorism, proliferation of mass destruction or their means of delivery, and human rights abuses,” Treasury Secretary Steven Mnuchin said. Iran Air, Tehran’s national airline, and the Atomic Energy Organization of Iran were among the blacklisted entities. Since May, over 100 companies have withdrawn from Iran or canceled plans to do business there, according to the chief U.S. diplomat. At Washington’s urging, SWIFT, the global messaging network that connects the world’s financial institutions, said it is suspending its service for some unspecified Iranian financial institutions. “This step, while regrettable, has been taken in the interest of the stability and integrity of the wider global financial system,” it said in a statement. Mnuchin had warned that Brussels-based SWIFT would be subject to U.S. sanctions if it provided financial messaging services to such institutions.